I think I found the best use EVER for leftover sock yarn! I’ve struggled with what to do with all my leftover sock yarn. 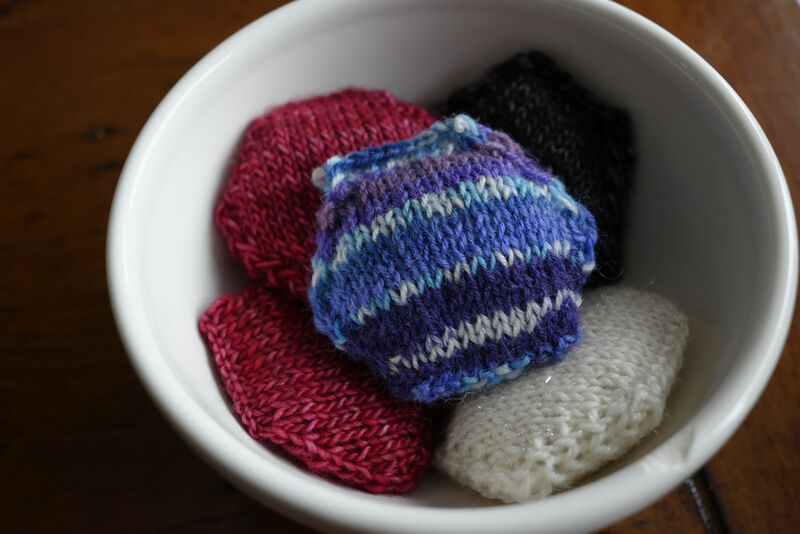 Each pair of socks results in smallish balls of lovely scrap, and it didn’t take long for me to develop a pretty major stash. I’ve made newborn hats and contemplated wild striped socks, but I’ve never found a really satisfying use for these leftovers. To add to the urgency, we’re looking for a house, and the upcoming move has motivated me to deal with every bit of clutter that I will otherwise have to eventually pack up and move. So imagine my delight when I came upon this gorgeous Tiny Owl Knits pattern, The Beekeeper’s Quilt. 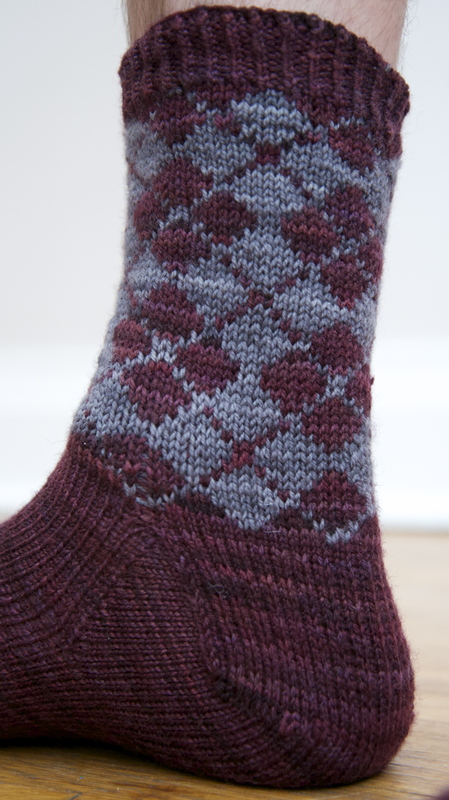 It’s a pretty popular pattern with over 5000 projects on ravelry, and at least 5 how-to videos on youtube. hexipuffs with ONline suppersocke (from my Wedge socks), white Dream in Colour Starry, and pink and black madelinetosh merino (from my Hederas, and the Monas I made for my husband at Christmas), and they all look lovely. 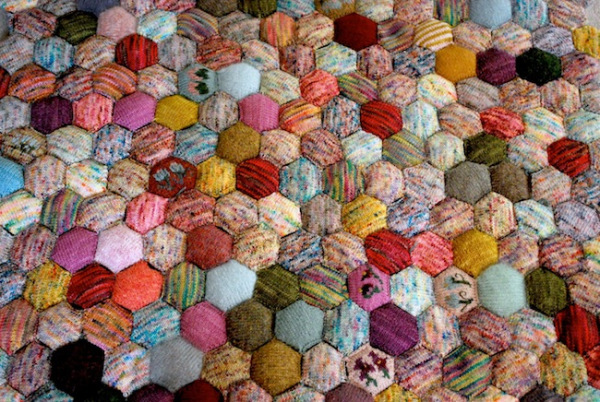 I’m so happy to be converting clutter into something beautiful for our new home, what a great pattern! This entry was posted in Knitting, Socks and tagged blanket, Dream in Color, hexipuffs, knitting, madelinetosh, ONline Supersocke, quilt, sock yarn, Tiny Owl Knits on February 21, 2013 by lisagono. 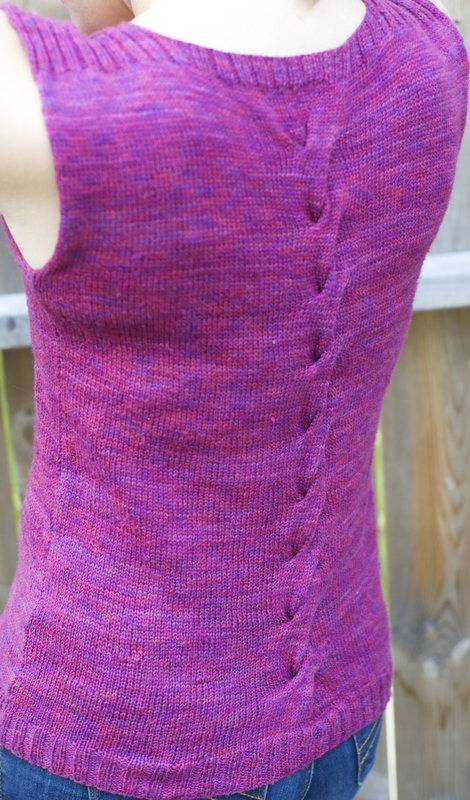 I often feel like I’m the only who has knitting projects flop, so I was relieved to read this blog post on frayed at the edges, about a project gone meh. It turns out I’m not the only one who is sometimes disappointed by my projects… this weekend, I definitely suffered one such disappointments (or in this case, one such totally frustrating wastes of time). This toque was supposed to save me time. 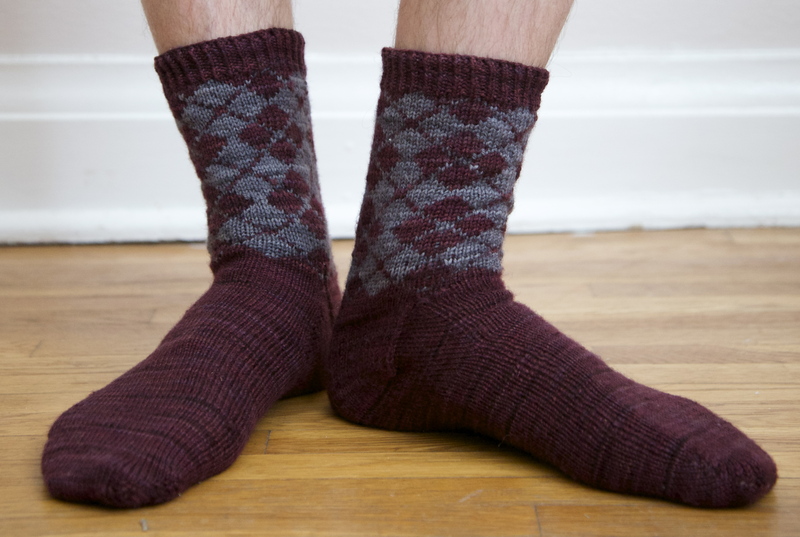 About a week ago, I realized that I had not allowed myself time to finish my ambitious holiday gift knitting (which, at the time included 6 pairs of light weight socks and a couple of toddler sweaters). I flipped through my pattern library and rifled through my stash, hoping to find a lovely, faster gift that I could make with yarn I already have. 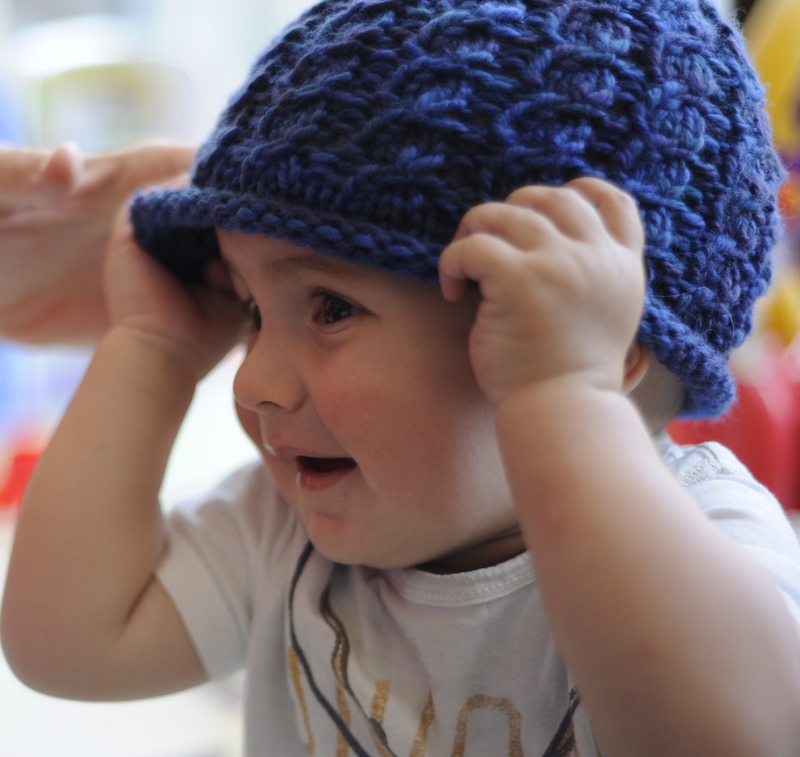 made the hat twice before, for myself and for my son, and I knew I could complete it quickly. It’s warm and cuddly, and I had a gorgeous little ball of leftover Dream in Color Groovy in purple. I even had a touch of the Dream in Color in a complementary pink, if the purple didn’t make it. Of course, I ran out of yarn, just before starting the crown decreases, so I went back, unravelled several rows of the hat and started to add pink stripes. Everything seemed to be going well, and as we sat and watched a movie this weekend, I finished about half of the crown decreases before looking down at my ball of yarn. I ran out of yarn 9 rows from the top. At this point, I had to declare defeat. Sure, I could have pulled out some random wool and completed the tip of the hat in a different colour, but this was a gift – it’s supposed to make the recipient feel special, not lead to awkward “Umm, gee, thanks. 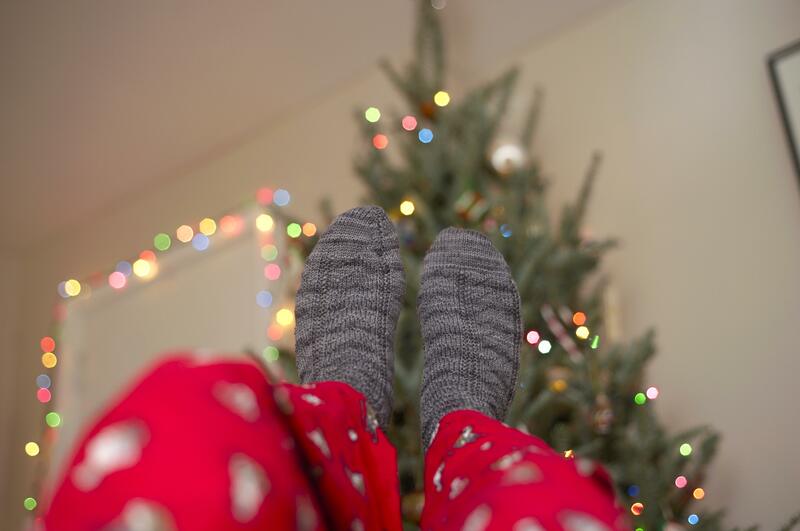 I love it?”s around the Christmas tree. Fortunately, this clever little hat was there to help me out of a knitting jam. I had stashed the blue-green Dream in Color Classy years ago for a sweater I never made, so it also helped me fulfill my promise to my husband to work on those bins of yarn under the bed. Now that I have a toddler, who outgrows shoes every 3 months, I rarely buy this wonderful $20/skein yarn, so knitting with it felt decadent. The hat is based on an eighty stitch repeat, across eighty-one stitches, so the lines of purls twist becomingly around the hat. I can’t wait to experiment with this idea (perhaps with some cables?) after I work through the rest of my holiday knitting. 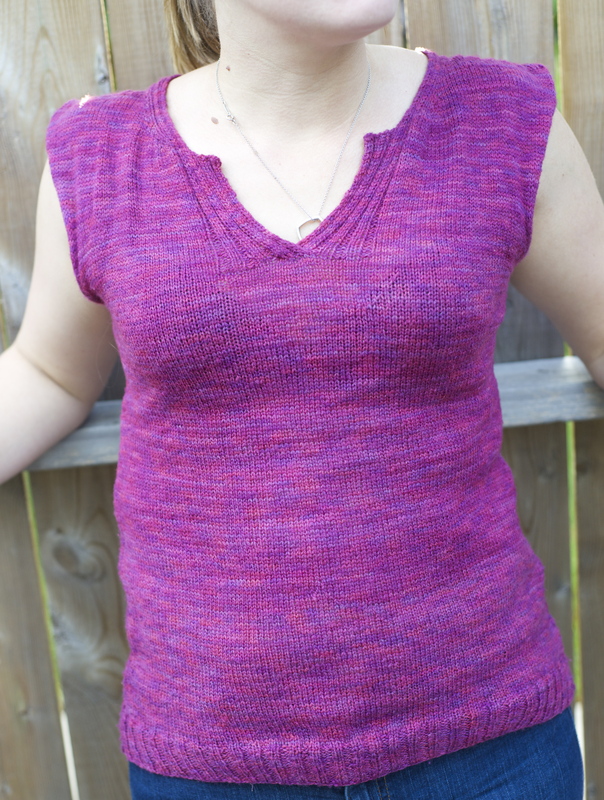 Until then five gift projects down, four to go – next year, I’m starting in August! 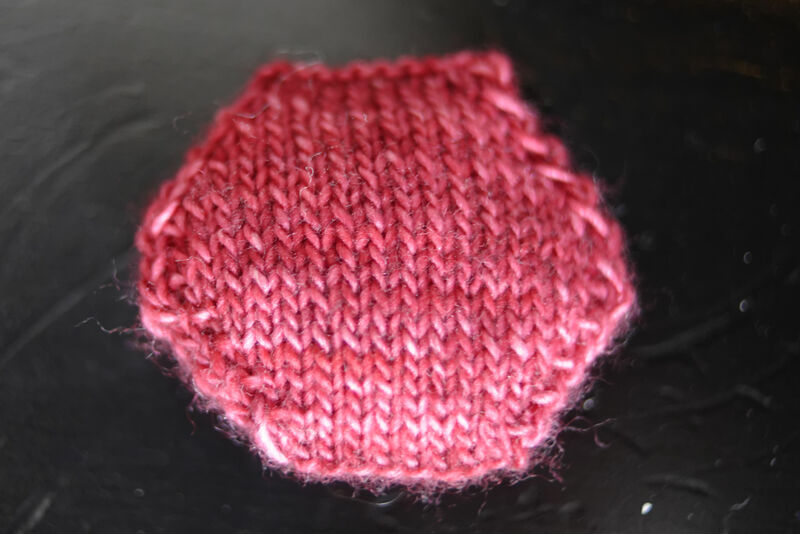 This entry was posted in Knitting and tagged Dream in Color, hat, knit, knitting fail on November 29, 2012 by lisagono.